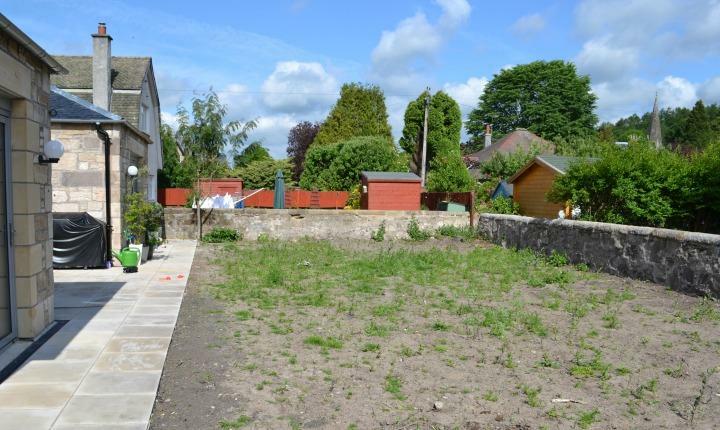 Our clients asked us to create a family garden following an extension of their villa in the lovely town of Bridge of Allan. 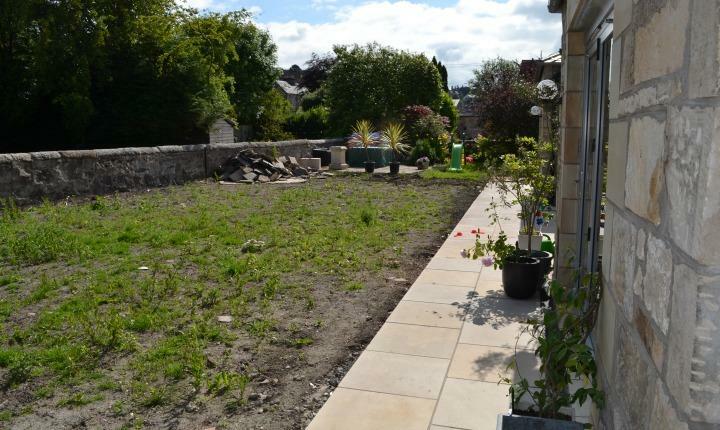 The existing garden had been flattened to allow building work to take place and was a blank canvas on which to create a garden suitable for the whole family. The creation of interesting play areas for their young children was important and the clients were keen to use shaped areas rather than straight lines. A number of mature fruit trees were to be kept and the area around them used to advantage. 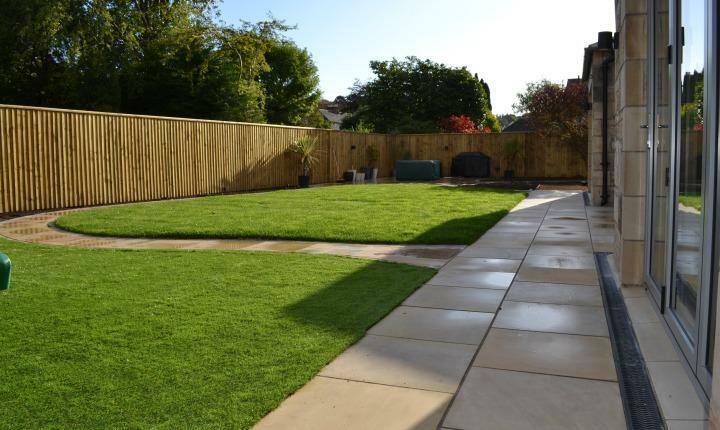 Curves and flowing lines feature strongly with shaped lawns, borders and a sawn sandstone patio. Winding paths were created from sawn sandstone with tumbled sandstone sett edgings, to link different areas of the garden and to allow the children to ride their bikes and scooters. 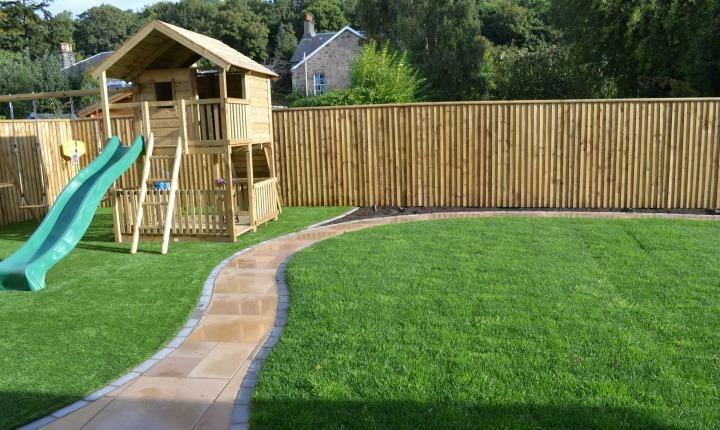 An area of artificial lawn was laid and large play equipment for the children was installed. 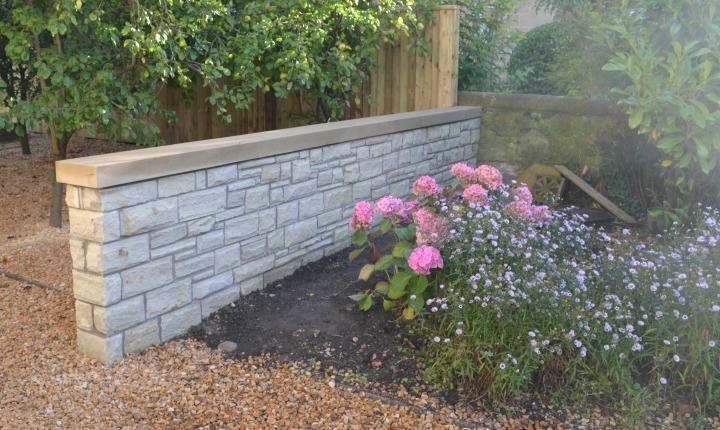 New sandstone walls with sandstone copings were built and featherboard fencing erected to smarten the boundaries. 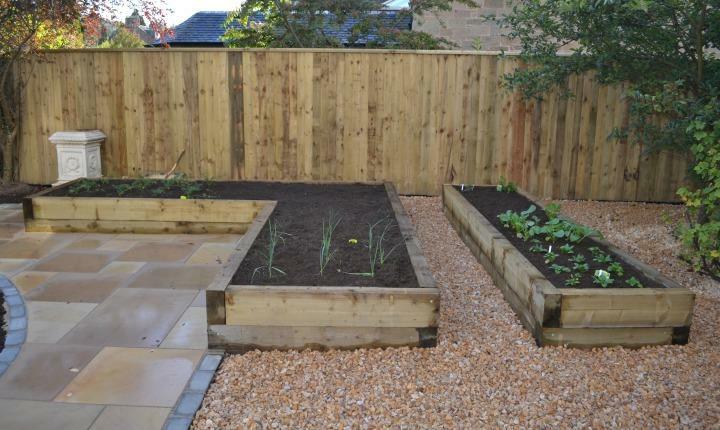 Raised planters were created using sleepers and decorative gravel was laid around the fruit trees. 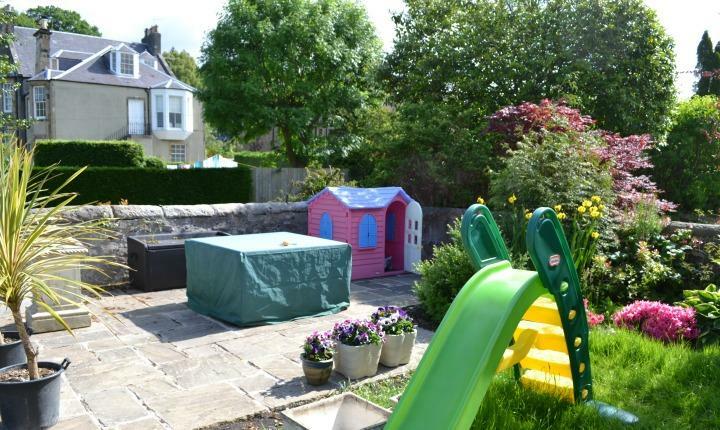 The new garden complements the new extension and provides a lovely versatile area that the whole family can enjoy. The shaped borders will allow colourful planting to added to create year round interest. "We are absolutely delighted with the garden. The final addition of the the planting has transformed everything. Our experience with gardens galore has been great from start to finish. From the initial consultation, we were confident that Jamie understood our needs and brought some lovely ideas that we wouldn’t have thought of ourselves. 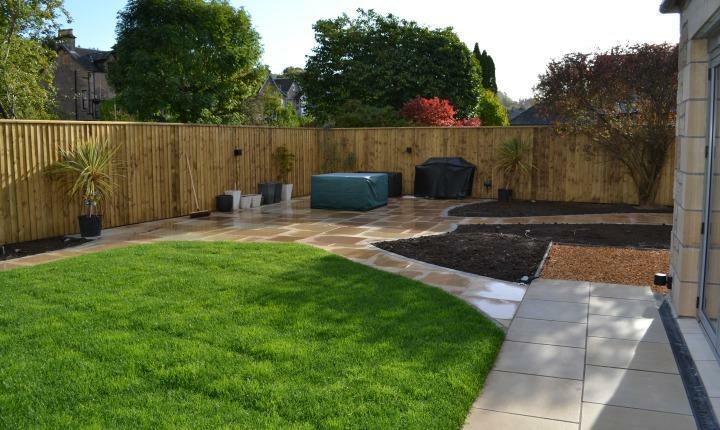 The team were really friendly, hard working and happy to adapt to anything we thought of as the garden developed. Sean and Michael were particularly great and we were really delighted with the extra work they undertook to build the girls play tower - fantastic job! 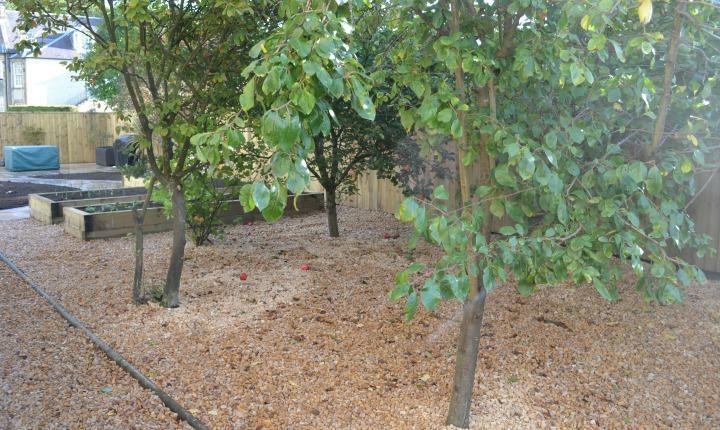 All in all we had a great experience with Gardens galore and would not hesitate to recommend your service."